When we found out that our little girl had a condition she would never recover from, and that we would have to say goodbye to her, my world turned into a very dark place. I cried for days. And when I ran out of tears, I fired up my computer and started googling. Looking for people going through the same thing. Trying to find out if and how they ever got through this… How they learned to live with this heavy burden on their backs, how life has treated them since then… And I found lots and lots of blogs. These tragedies happen to so many people, regardless of any reason you might think of. Nature does not discriminate. It’s like the Math.Random() function (sorry about that, after all, I’m still a tech geek!). And there’s nothing you can do to control it. Carly Marie’s site must have been the first one I stumbled upon. I can’t even begin to say how much comfort her site and work has given me, and everyday since. She shares her story and so many other helpful information on her website. You can donate and have her create the most beautiful beach butterflies (and other creatures) I have ever seen drawn in the sand, with your baby’s name next to them. You can even request to have your baby’s name written in the sand at sunset. It’s so admirable what she does for people, and in honor of her precious little boy Christian… She’s a true inspiration. From there, I’ve connected with countless more beautiful people, blogs, stories and websites. Take a look at my sidebar. Lindsey shares about her little girl Nora that was stillborn a few months before I lost my girl. At unspoken grief, you can share your story, anonymously or not. I also found an entire community on Instagram and actually made some beautiful friends too (you know who you are!). There is something about the bond you make through loss that gives a friendship an instant strength and special connection, for which I am forever grateful. Although I wish no one would ever have to go through this, it did give me a lot of comfort to know that I was not alone out there. Seeing people that have gone through this terrible loss and are now living a blissful life, is a tremendous comfort. They still grieve the babies they lost, they remember them every day, they honor them every day, but they did find peace and joy in life again. And that makes me believe that I might too, someday. It’s also these wonderful people that inspired me to heal trough sharing my story. And I truly believe that I wouldn’t be standing today if I hadn’t done so. Sharing Sahar’s story, reading other stories, and connecting with this beautiful community has brought me more healing and peace than I could have wished for. 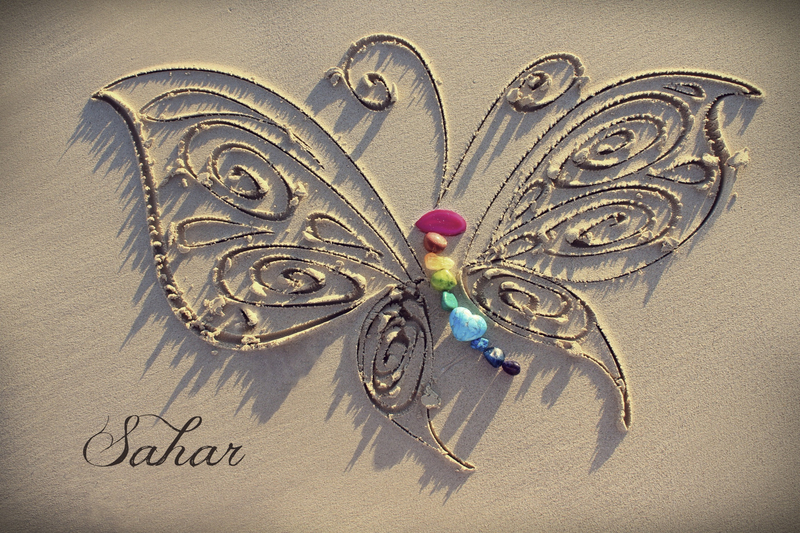 PS: All credits to Carly Marie for creating the beautiful beach butterfly on the top of this post for my little girl. Thank you for your beautiful work! Thanks for the touching words about my blog. I’m glad we connected too.